Once again, the relationship between state and citizens determined through the ‘social contract’ stands challenged. 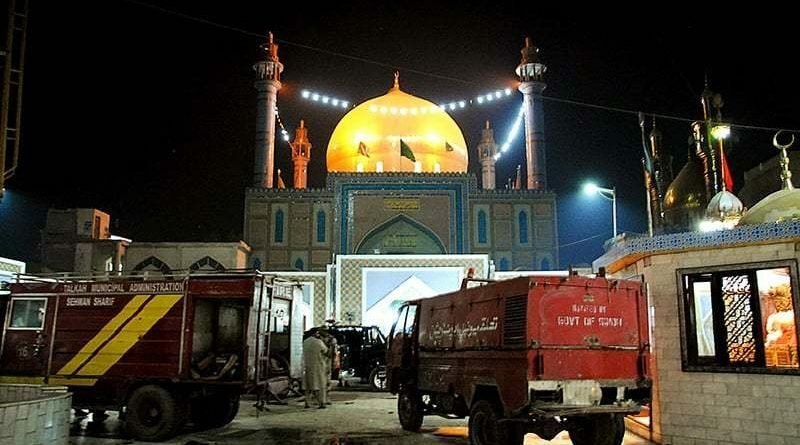 Hardly had the sound of blast settled killing scores of people in Lahore, when the coordinated terrorist attacks rattled Quetta, Peshawar and FATA terminating the killer wave in Sehwan Sharif in Sindh by strewing the bodies in blood of avid devotees of Shahbaz Qalandar. The bloodshed caused by the fresh wave of terror is not a new phenomenon, neither is the state’s response to the threat. Since the very beginning the state demonstrated clear proclivity to ‘manage’ terrorism and extremism, instead of eliminating it. The oft-repeated defense of hostile elements beyond the frontiers extenuate the necessity for introspective cognizance of why the state has failed in its security imperatives. Hardly a decade ago, an extremely potent narrative constructed by the state was fabricated and perfectly directed in Swat and Malakand Division. The area had suddenly assumed a haven-status for terrorists whose root cause was attributed to poverty, social inequality and a vacuum created by a slow, almost passive legal system. The social fault lines were inflated and magnified through the creation of Fazalullah, propelled as a self effacing local personage who had risen to smooth social, economical and judicial variables. Thus indirectly, Sufi Mohammad and later his son-in-law Fazalullah’s movements were lauded as populace uprising. The media turned Fazalullah’s thuggery into a fabled revolt against social injustice and constantly depicted donation for mosque and madrassah construction. The real face of the populace uprising led by Fazallulah was too gruesome to be absorbed. Under the tutelage of DCO Swat, Fazlullah’s philanthropy was used as a cover, most likely, to contribute to militancy. The FM radio, operated from his home proved a formidable tool to spread his genome. The media, particularly the local print used to carry headlines of how he was riding a horse and other his performance of other miracles. But what was blacked out was that the community disbanded him from the neighborhood mosque and a compliant was lodged by the local elders against his illegal FM radio transmission with the local police. As a state whose proclaimed survival rested on security, Fazallulah’s activities to challenge the state should have been countered. But the state procrastinated for nearly two years to respond to his challenge. Why? There was some recompense. The Pakistan army realized the unwittingly leverage exploited by Fazallulah and reacted by countering an offensive against the spuriously fabled Fazallullah. A security state’s primacy was not to protect a single individual. It had to safeguard the infinite conglomeration of citizenship. Fazallulah’s challenge received a salvo of the state’s offensive launched in 2007, lasting for nearly two years. The fabled Fazalullah could not be demonized. He was, after all, smoothing social ills. But the security state was able to see through the veneer of philanthropy. The reasons are best left to the strategists. The elements who were later named as ‘the Taliban apologists’ went for the jugular vein if anyone called them terrorists or even militants. The half-hearted military operation kicked up because inflated domestic and international political pressure about a decade ago left many questions unanswered. Perhaps our strategists were hopeful of having their cake and eat it too, that the use of military against terrorism deflected the increasing international pressure and would vindicate the blame of ‘double game’ without substantial change in policies and security paradigm. For the brief span of time the state, or say its potent institution, admitted that our existential threats were internal not external but for the last three years, in the aftermath of the dharas, we were back to square one. So far the military operations remain the sole strategy against terrorism and that too without any parliamentary oversight. Discussing the methods and results of these numerous operations is a new addition to the many red lines which no analysts or citizens should transgress. The state’s response to the current terrorist mayhem signifies a reversal of previously briefly held internal threat perception to exteriority, that by the way justifies asymmetric tactics as one of our security underpinnings. But unfortunately, it also goes against our previously held view. 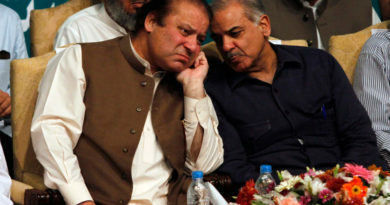 In the Punjab, from the chief minster to the top security echelon claim that the center of gravity of the current terrorist attacks in Pakistan is located in Afghanistan. Though it is not a faded memory when the same chief minister implored the Taliban to spare Punjab because of some shared ideological strings. And now the only instrument in the Punjab government’s counter terrorism paraphernalia is to harass Pakhtuns, mostly laborers and vendors providing a field day for the Punjab police. It is quite apparent how the state defines and comprehends terrorism. Afghanistan diplomats were summoned to the GHQ for violating the diplomatic norms. Perhaps, it also shows our maximalist approach towards Afghanistan since the 1990s. The Pakistan government handed over a list of 76 terrorists allegedly involved in terrorist activities in Pakistan. But how can we expect a state, that is Afghanistan, which almost collapsed about a decade and half ago, with weak institutions and writ could deliver? And if the state of Afghanistan colluded how could the omnipresent security institutions not stop them while crossing the Durand Line and travelling all the way to Lahore and Sehwan? Why was the blood of our super patriot boiling when the American drones were killing the supremos of the same TTP whose list today is being handed to the Afghanistan government? Security and political analysts used to mock the Afghan president as the mayor of Kabul with no writ beyond the capital. The current president, Mr Ashraf Ghani, who maybe weaker than Karzai, is depicted as an isolated individual who has no political base and shares mayoral powers with Mr Abdullah Abdullah. And Afghan national Army was predicted as an organization of illiterate, drug addicts prone to desertion. Besides, if security managers want to surrogate the right of self defense by attacking the terrorists camps inside Afghanistan and if Kabul fails to meet our demands have we not established a wrong president? How will we defend our position if America or India demands or adopts the same strategy against the Quetta Shura, the Haqqanis and the JEM etc? In the heated environment the state of Pakistan should approach the threat rationally not emotionally. For the past one and a half decade Pakistan is experiencing terrorism without respite. Where lies the lapse? Sri Lanka, a relatively weaker state than Pakistan uprooted the Tamil Tigers, a hardened nationalist ideologies that enjoyed popular political support and bases in Jaffna, north of Sri Lanka. But the state of Sri Lanka was focused and determined by perceiving the threat as genuine to the existence of the state and employed all available possible means – political, economic and military to eliminate them without compromising democratic process and civilian control. In less than eight years, Sri Lanka defies any sign of a bloody conflict enjoying stable peace, thriving tourism and economy. The victimhood account has also been over drafted. For the last one decade the state has been pushing against terrorism militarily to the extent of deflecting international pressure without changing its policies or its paradigm. Unless we adopt a holistic approach to eliminate terrorism and extremism by rooting out all ideological underpinnings, our self proclaimed profundity will be looked upon by the world as little more than a din to promote cacophony. If we could not achieve the external policy objectives in the 1990s, the current international and regional scenario is almost near to impossible. It will be suicidal resulting in socio-economic and political stagnation if, under the guise of external threat perception, the security state policy is meant to control domestic policy. 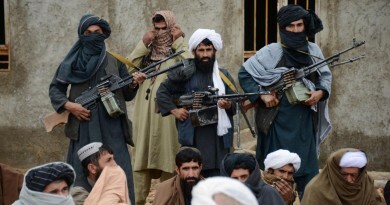 ← Why does Former Afghan President never uses the word Taliban?